Aiming at advancements in research on marine with the specific tasks entrusted upon it by the living resources and environmental ecology, and in line Ministry, the CMLRE has setup a centralized FORV Data and Referral Center in Kochi. 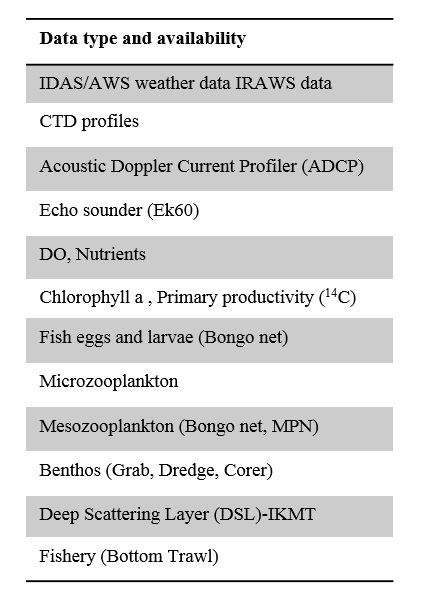 Major objective of the Data Center include creation and maintenance of an exhaustive database by way of compilation and archival of all FORV based fishery, environ mental and oceanographic data collected through sponsored projects under the Marine Living Resources Programme. The two major activities of the Data Centre are gathering of useful data products and dissemination of data information to end-users. 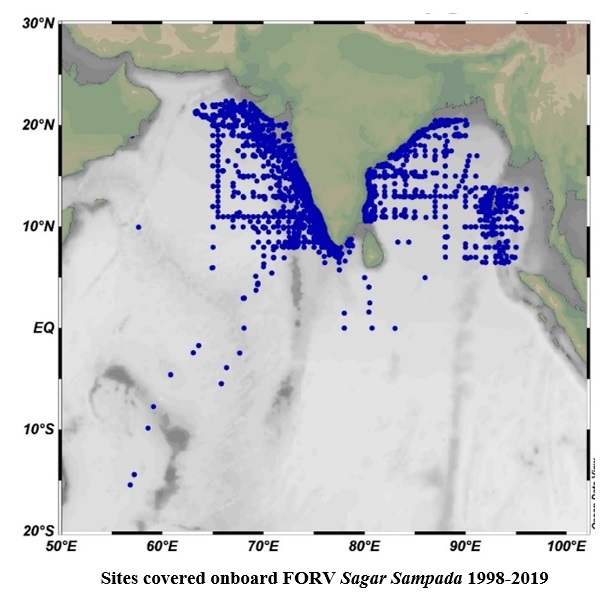 Data products such SST maps, thermo cline structure, Mixed Layer Patterns, Oxygen Minimum Zones, Chlorophyll distribution charts, upwelling indices etc are generated on a routine basis as per user demand. Detailed data products integrating several parameters viz. delineation of demersal fishing grounds, generation of deep-sea fishing atlases, production of annual fishery oceanographic atlases are at various stages of implementation.